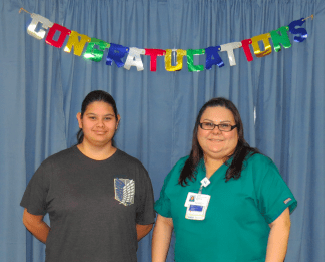 Vickie Montoya and her daughter Star (16) on February 2, 2016, the day they found out they were accepted into the Habitat program. Vickie Montoya was born and raised in Bryan, TX and has worked at Scott & White Clinic as a Certified Medical Assistant (CMA) for 8 years. 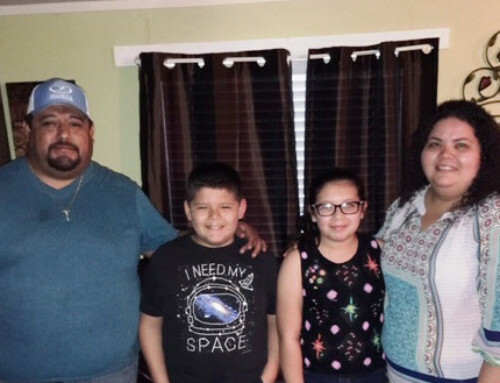 Her daughter Xiara “Star” enjoys her studies as a sophomore at College Station High School, where she is involved in Future Farmers of America. 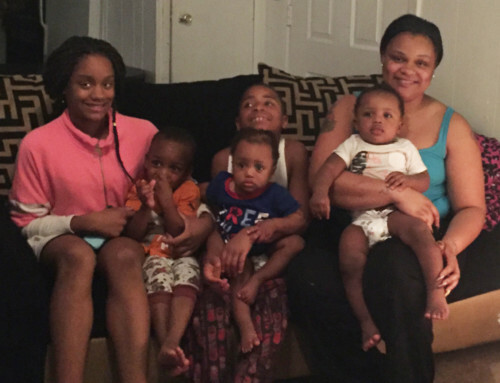 Now that Vickie has been accepted into the Habitat program, she must complete 500 hours of sweat equity by helping build her own home and her neighbors’ homes. 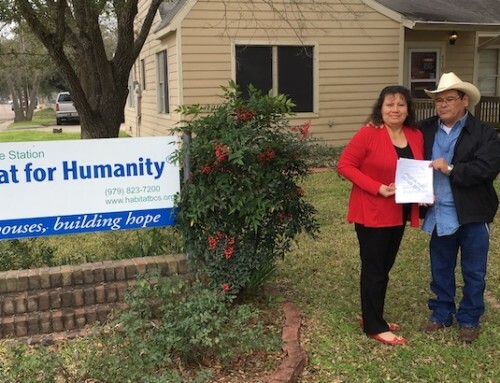 Habitat homeowners can also perform sweat equity by volunteering at ReStore, at the Habitat office, and by taking homeownership classes offered by the affiliate. When this process seems difficult, Vickie’s daughter and her friend and coworker Courtney encourage her to keep going and help her by volunteering their own sweat equity hours. Vickie and her daughter have quickly completed 72 hours at the ReStore in just a couple weeks.